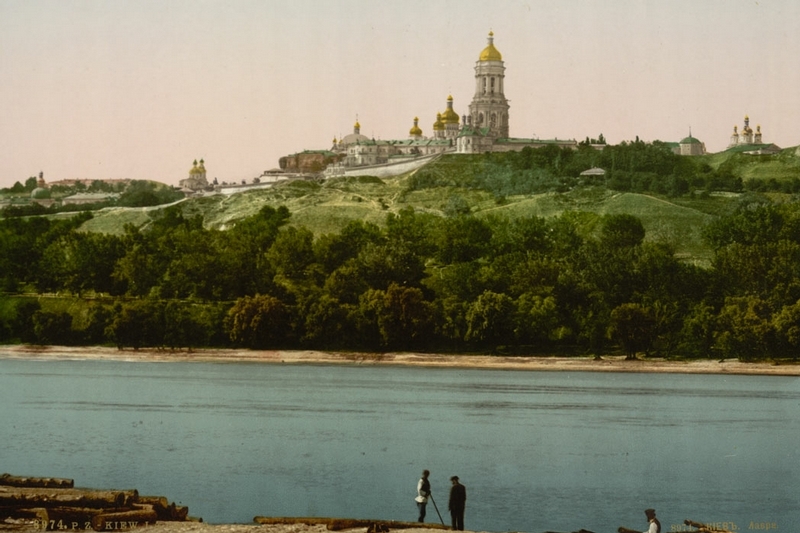 In the Library of Congress of the USA, there are photographs of Kiev taken about 100 years ago. 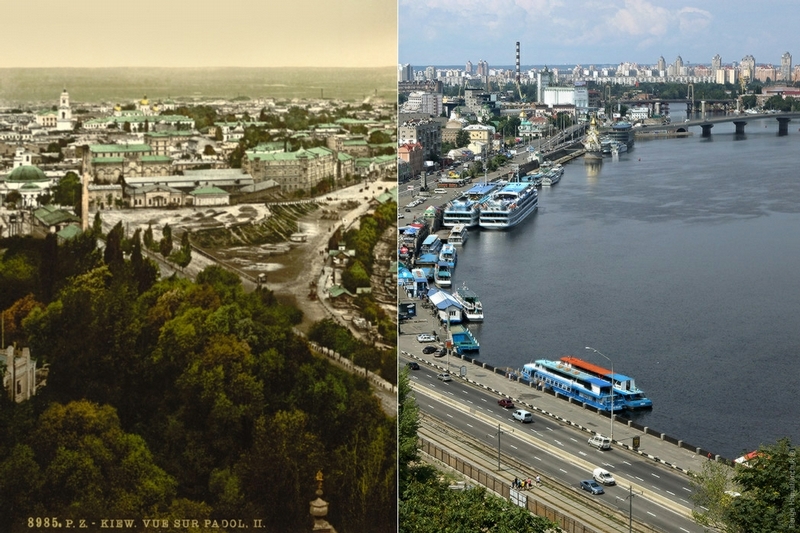 Thanks to these photographs, we have an opportunity to compare the city of Kiev of today to Kiev as it was a century ago. 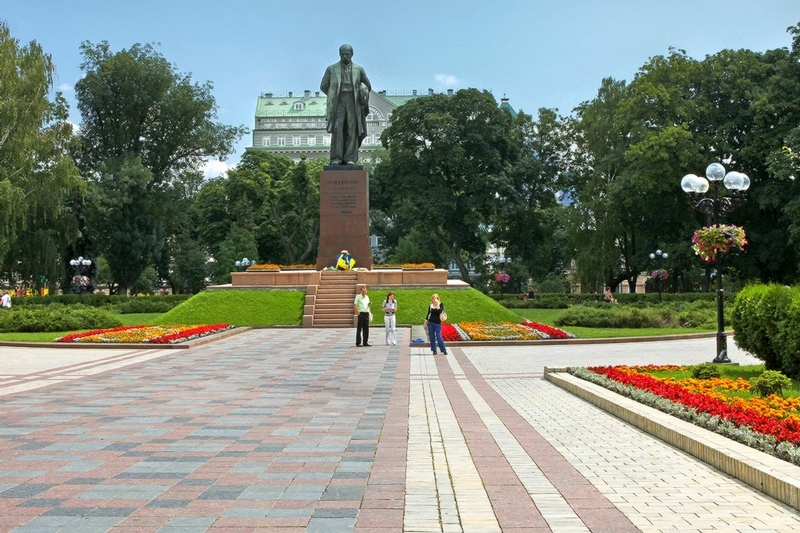 They have replaced a monument to Nicholas I with a monument to Taras Shevchenko. Besides, the modern pedestrial looks worse than the old one but still one can catch a likeness between the two photographs. 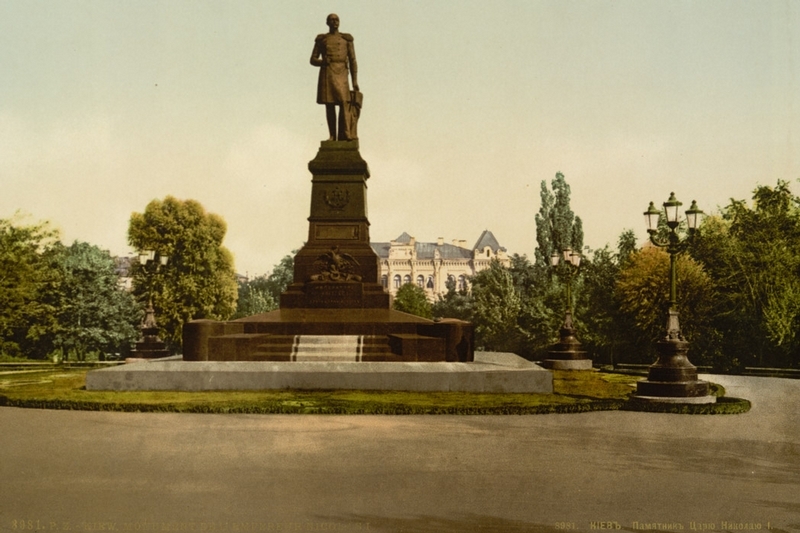 It is European Square and again its older version looked more complete and cozy. 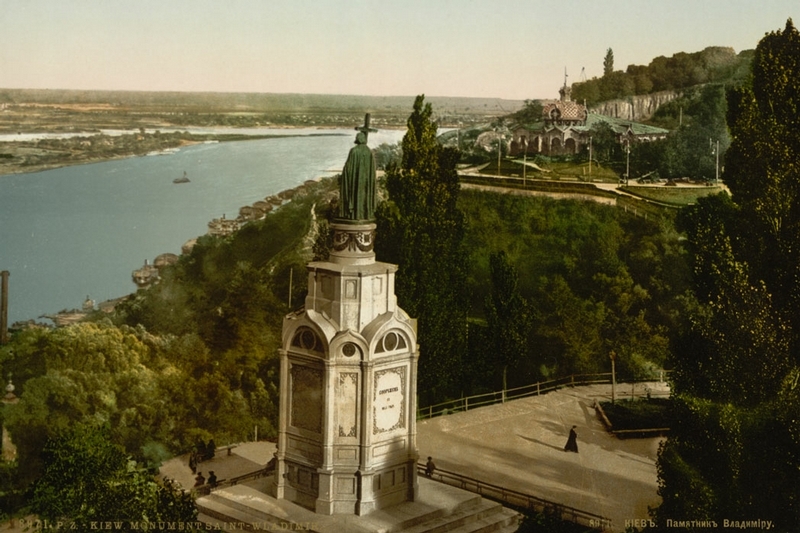 It used to be decorated with a fountain and beautiful arch. 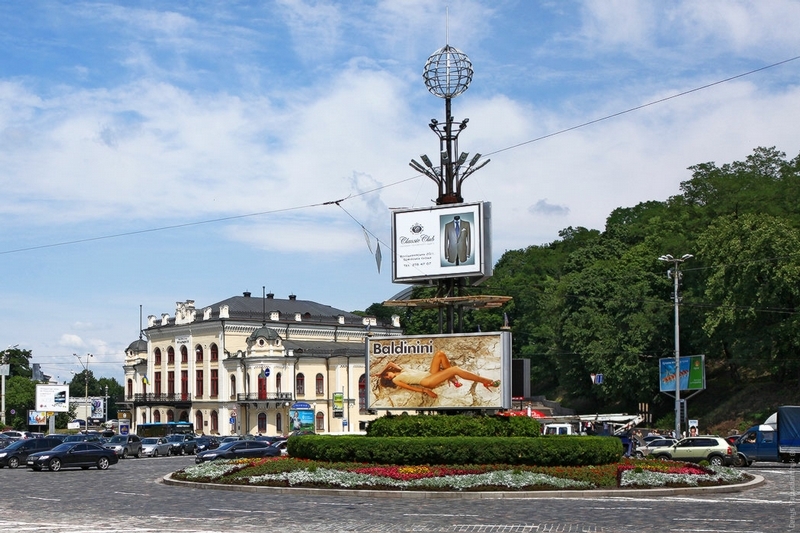 Today, it features two halfnaked boys symbolizing friendship between Ukraine and Russia. 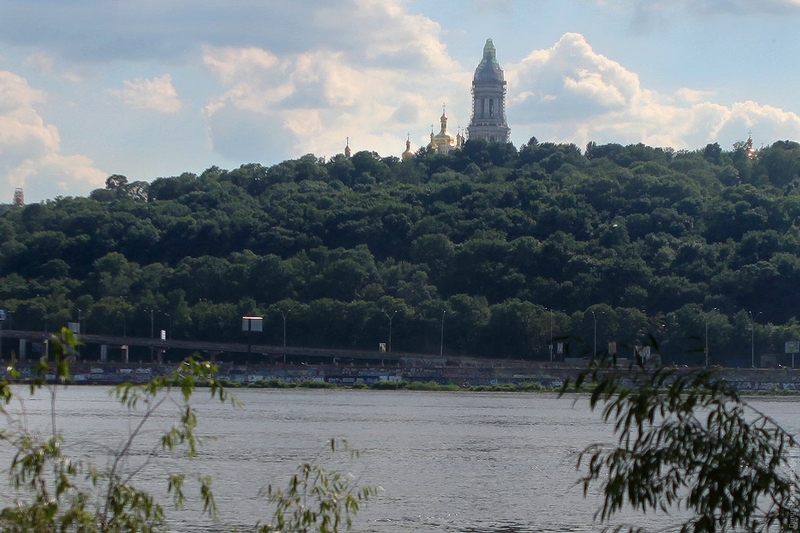 A monument to Vladimir the Great has become overgrown with trees. 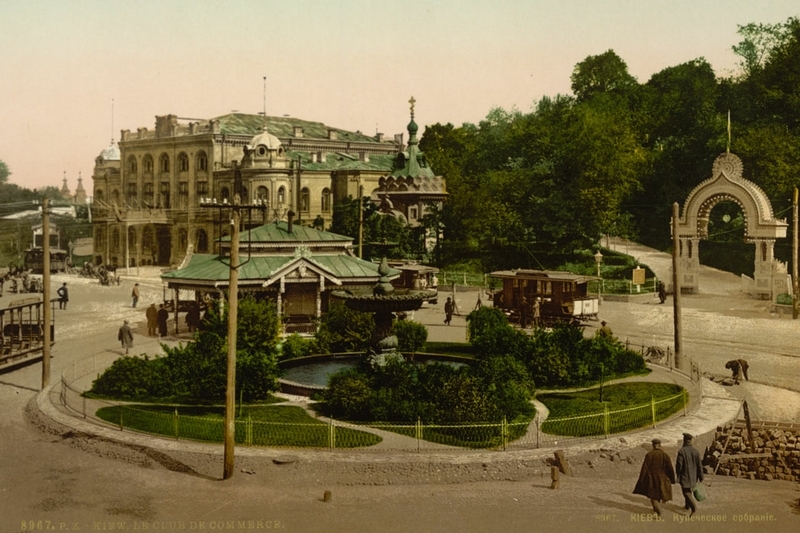 Sofiyskaya Square has changed a little. They have just built elite residential complexes and and stone paved the area. 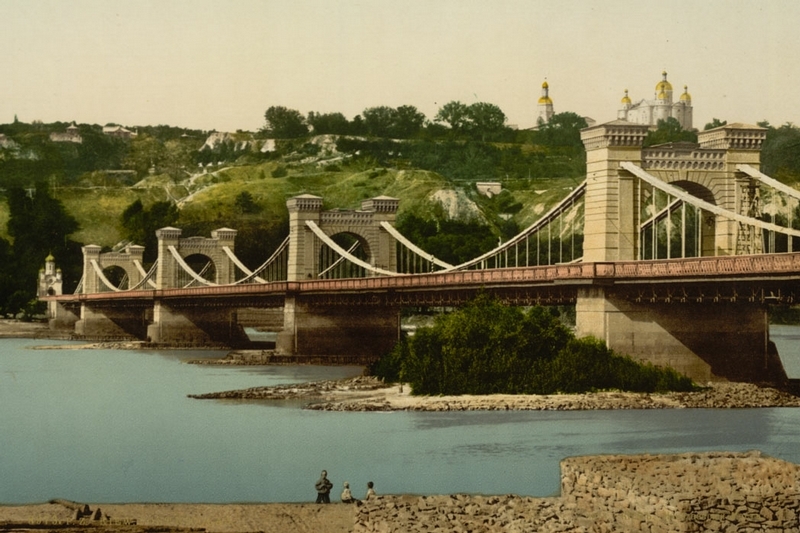 The chain bridge looked nicer than the modern one. 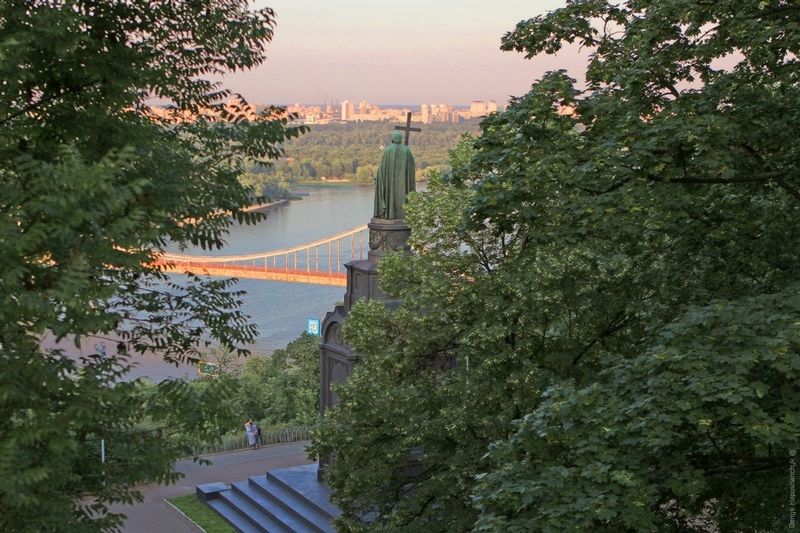 Territory surrounding Kiev Monastery of the Caves has become overgrown with trees too. The road became more complicated, they stone paved the embarkment and painted it with graffiti. 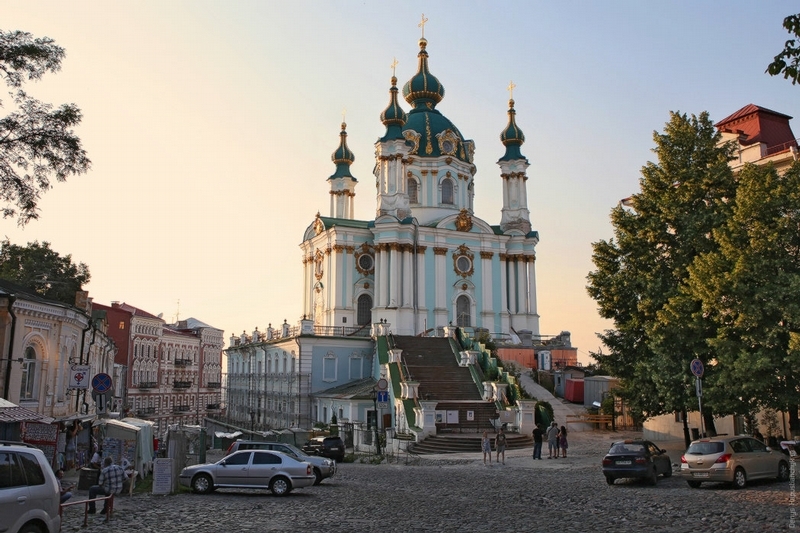 The Saint Andrew’s Church. It looks like that post with no wires in the first photo is unreal and has been painted by an artist. 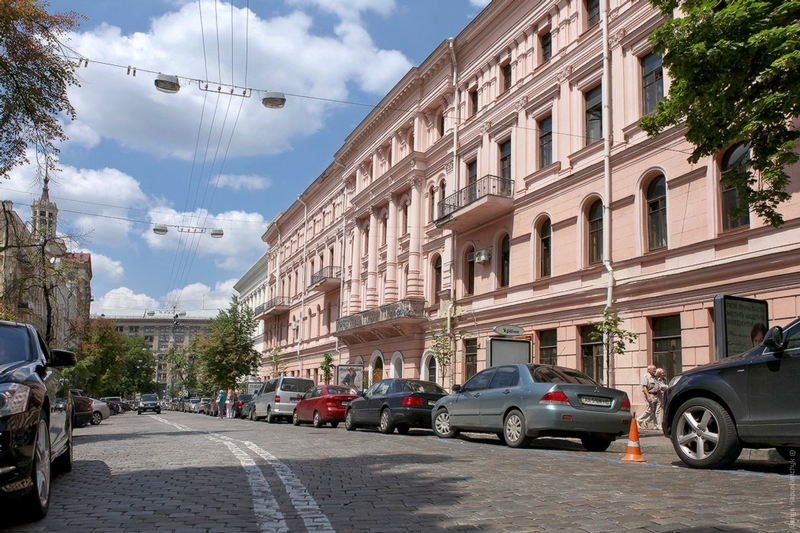 Gorodetsky Street. The building on the right is a conservatory. 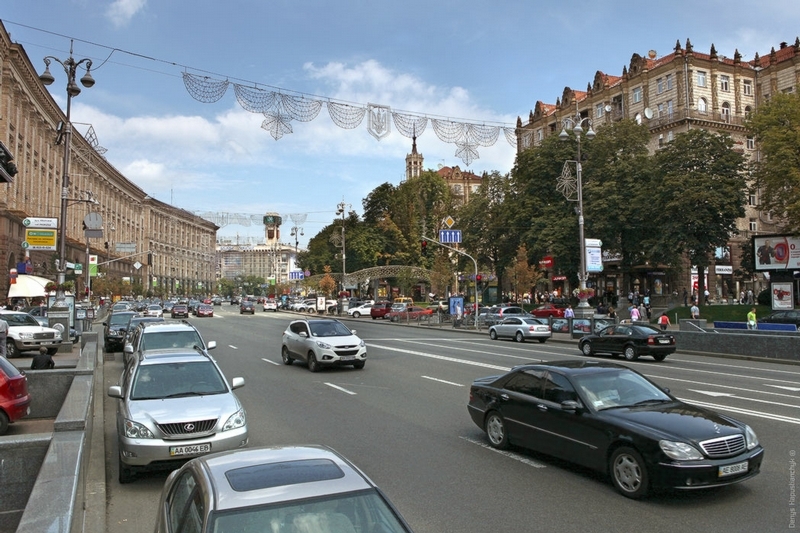 Khreshchatyk Street has changed greatly. 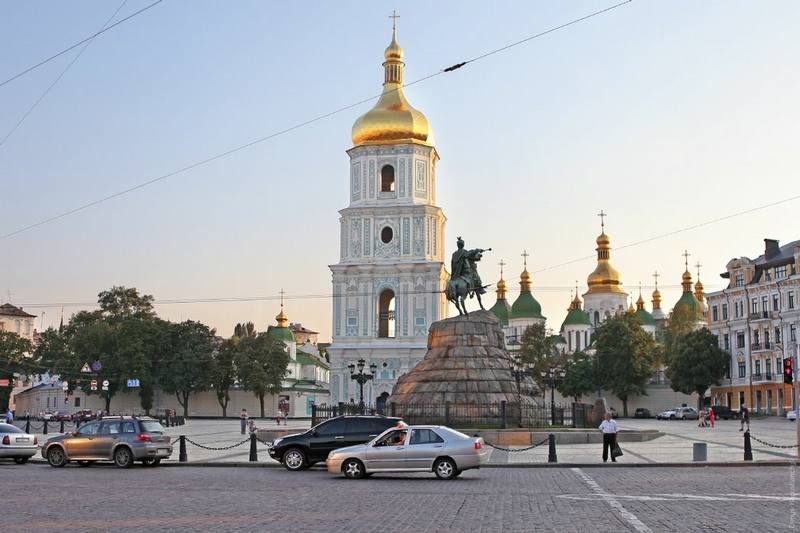 Its ‘Stalin-era’ architecture is recognizable in many post-Soviet countries. 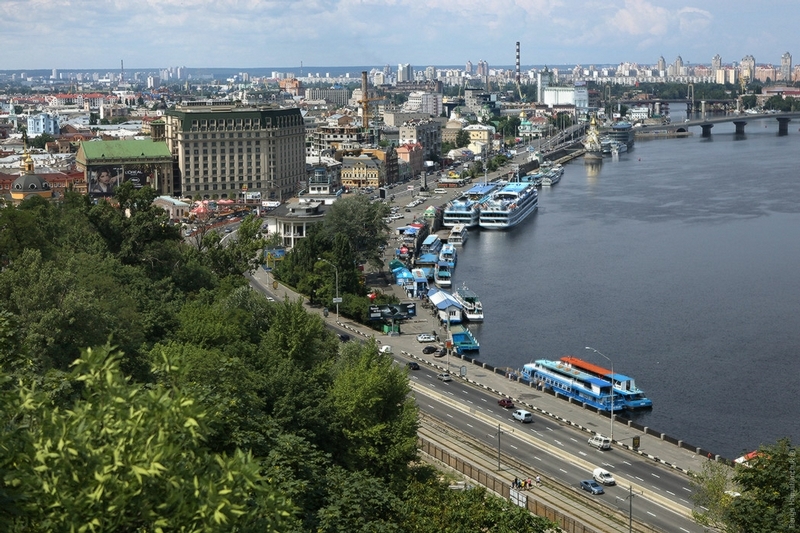 The Podil is a historic neighborhood and an administrative district in Kiev. The new buildings you see in the upper right corner have been built during the past 12 years. 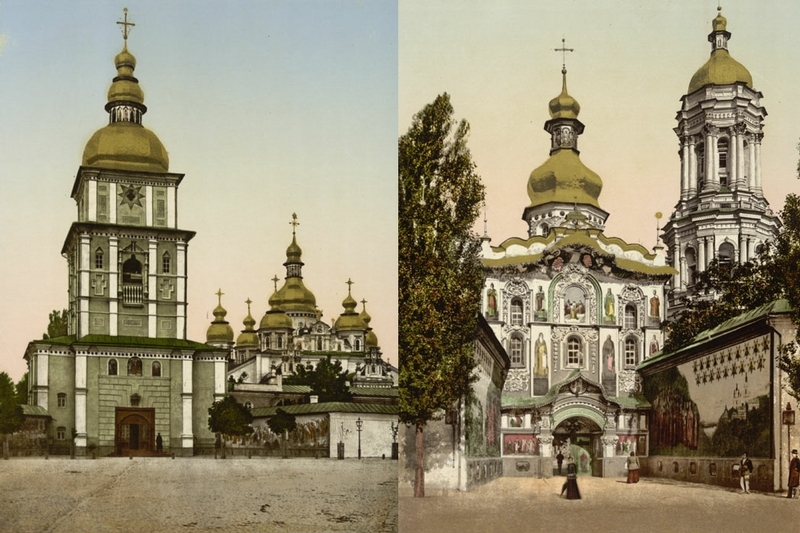 Entrances into St. Michael’s Cathedral and Kiev Monastery of the Caves. 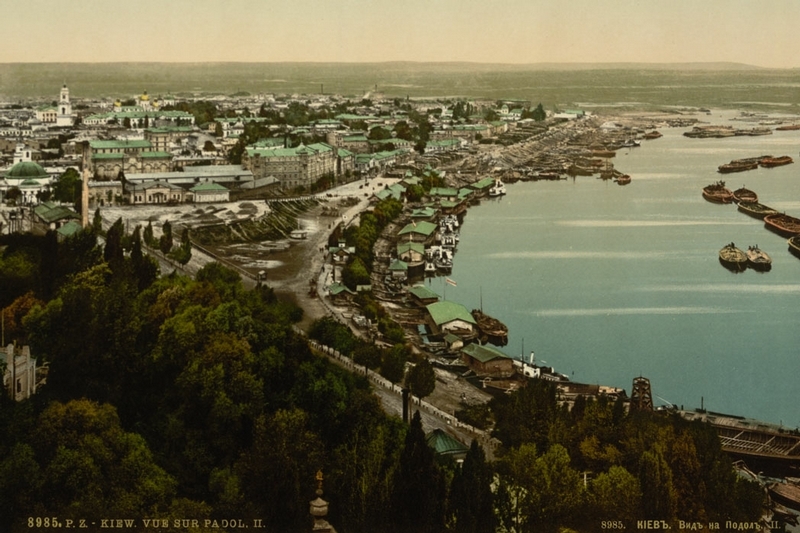 Ahhh,how beautiful it was back to those days and how many of nice buildings were destroyed by those horrible war. 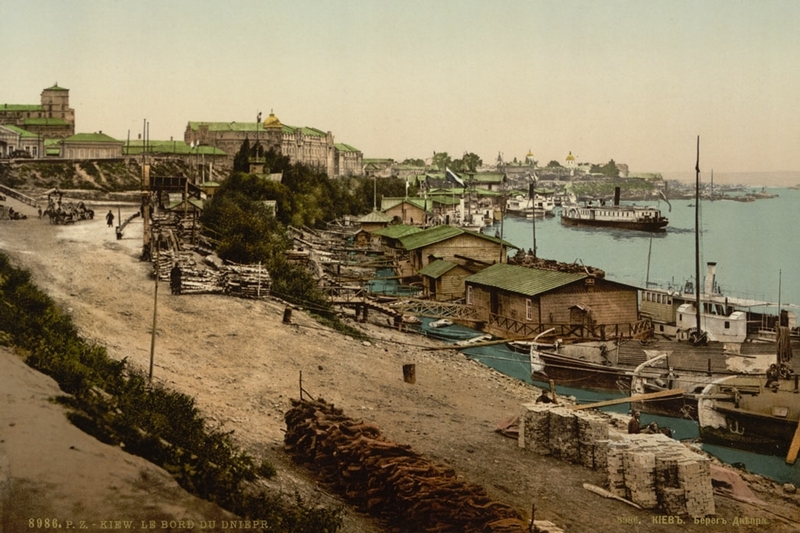 Wait a minute… color photos from HUNDRED years ago (1912)? Where did they come from? There weren’t that many color cameras at that time. 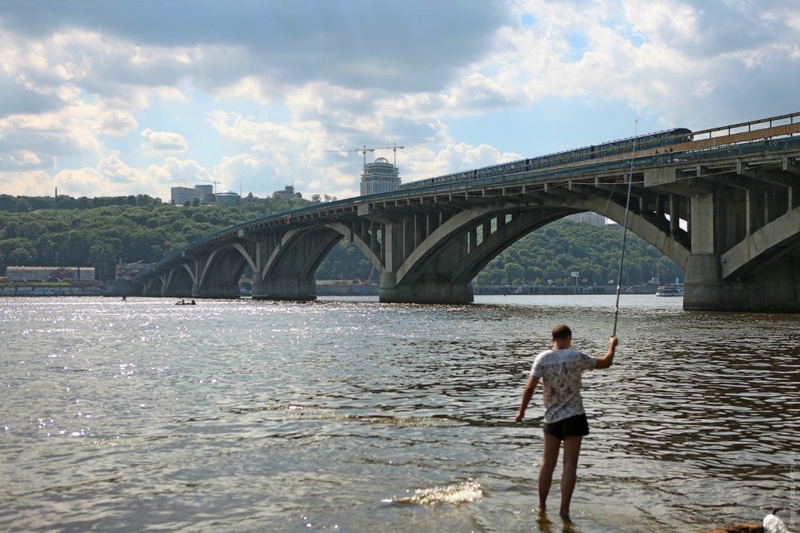 I came across the same old photos of Kiev about a year ago. 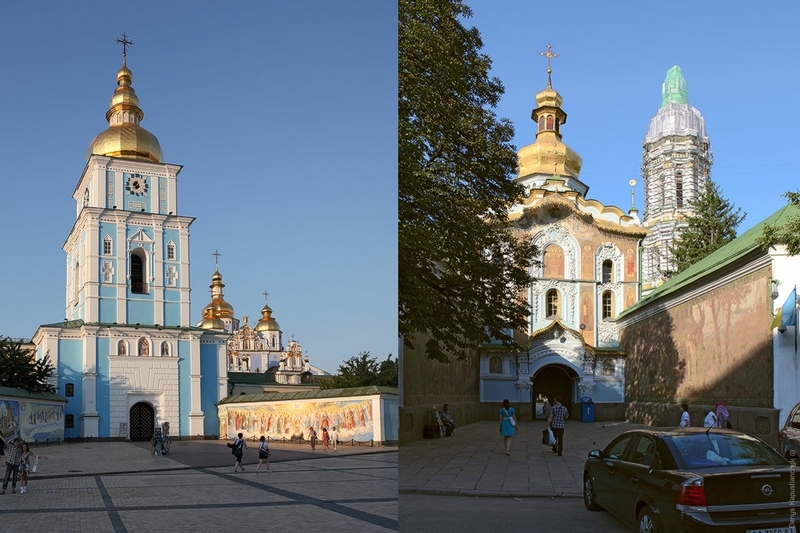 I then used my photos from my trips to Kiev in 2006 & 2009 and did a similar comparison. Those old photos are amazing. Great job comparing the old & new. 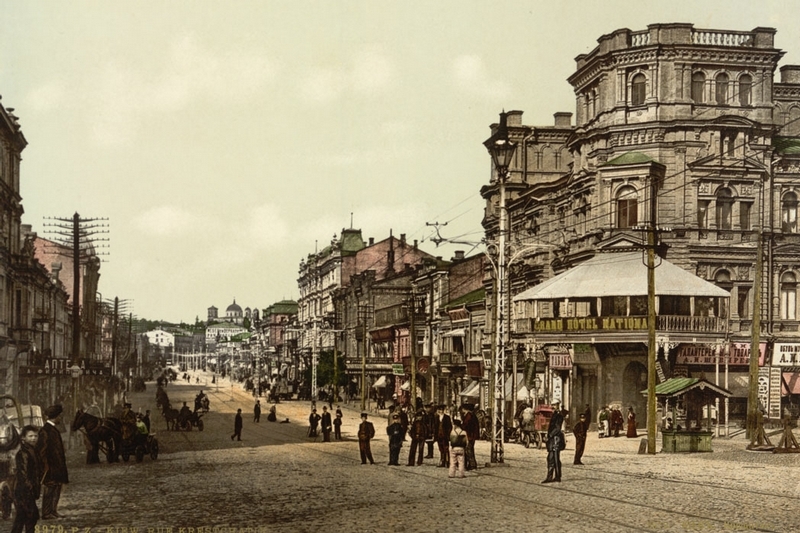 Many Kiev building were destroyed during WWII. 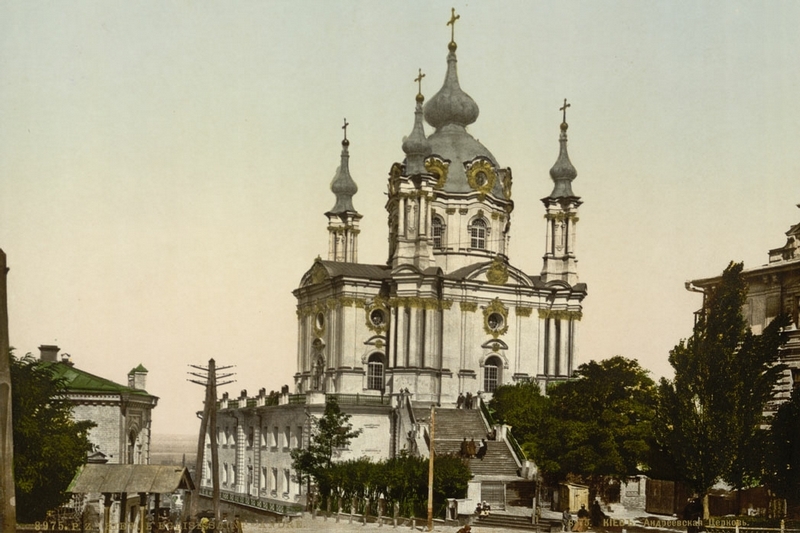 No big deal, for example in Poland, in Austria, in Germany they just restored what was destroyed. Not in the USSR. By definition, all which was created before the Revolution, was only tolerated, but nobody the government would not restore anything. 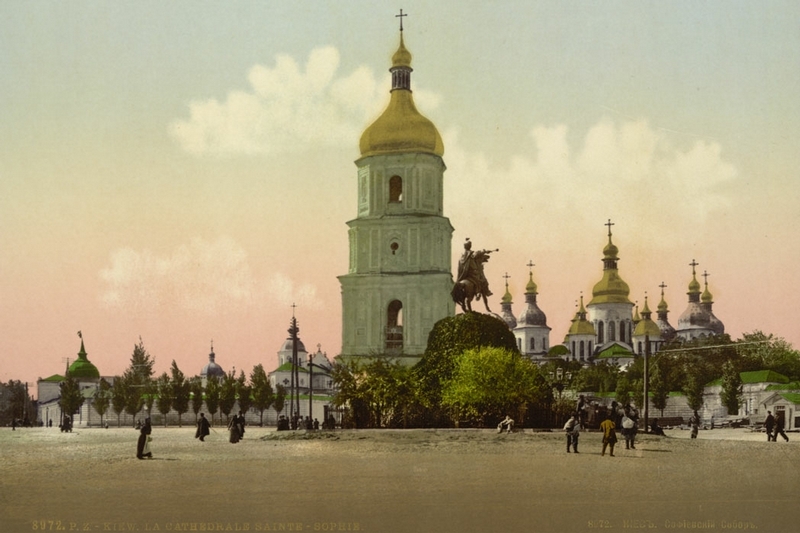 That’s why today’s Kiev resembles very little the old one. 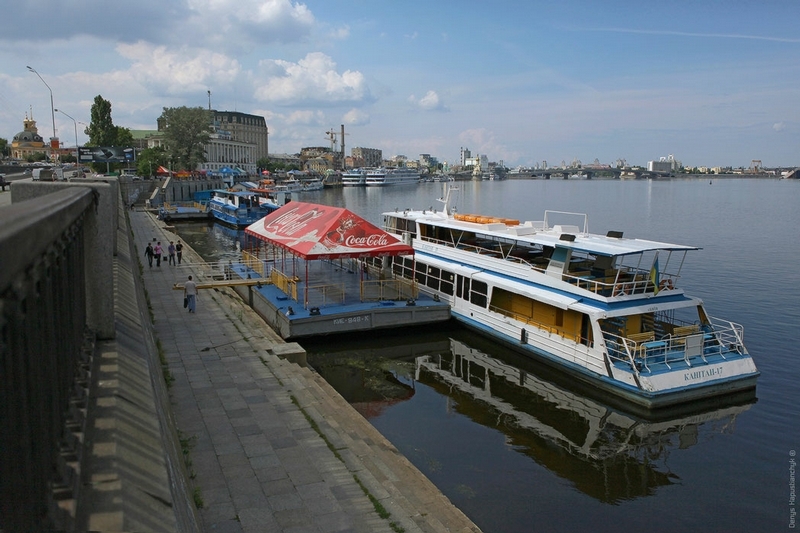 Thanks God, St Petersburg survived the war intact, otherwise it would have built it up with 9-storey concrete buildings… like Minsk or Volgograd. 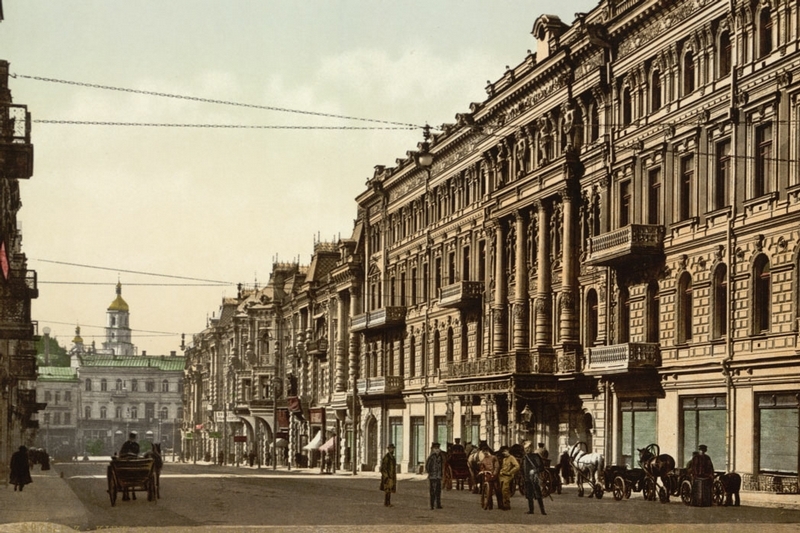 One exception: In Volgograd, they meticulously restored the pre-revolution building where Stalin allegedly commanded the (failed) defence of the city against White Guards. Because of this, this is the only still standing old building in Volgograd. So sometimes if they wanted to, they could restore it. But not in case of Kiev, obviously.